Are you looking for a convenient, filling, and nutritional meal replacement that’s also dairy free? The Dairy Free IsaLean Shake could be just what you are looking for! This delicious, dairy-free version of the popular IsaLean meal replacement shake is an excellent choice for those living a vegan or vegetarian lifestyle, for those with a dairy sensitivity, or for the growing number of people looking to live a plant-based lifestyle. For people who are always on the go, finding a balanced, nutritious meal isn’t always easy. Adding one of the two delicious flavors of a the IsaLean Dairy Free Shake can provide the essential plant-based protein, healthy fats, fiber and other essential nutrients to keep your energy up throughout the day. We recommend using as part of a complete Isagenix nutritional program, such as the 30 day Weight Loss System. The IsaLean Shake (Dairy Free) can help support the weight-loss goals you’ve set. Each shake is only 250 calories and helps you maintain that full feeling while still giving your body all the essential nutrients it needs. The plant-based protein profile allows the shake to help maintain and build lean muscle mass that can aid athletes and those with active lifestyles. Grabbing an IsaLean Shake Dairy Free as you head out in the morning can provide you with all the calories, protein and other nutrients you should get from a complete meal. These shakes contain between 22 and 24 grams of plant-based protein, 8 grams of fiber and are completely dairy free to fit in any dairy restricted diet. What could be better than getting a quick, nutritional, and delicious meal replacement that is also easy on your wallet? Available in 3 tasty flavors, the IsaLean Shake Dairy Free is the perfect companion to a vegan based diet, or for those individuals living with a dairy allergy or intolerance. For just a few $’s per serving, this low-glycemic, high-fiber & protein-packed meal replacement can help support weight loss goals and support lean muscle growth. The high protein profile comes from a combination of power-packed plant based proteins, including pea, whole-grain brown rice and hemp (depending on the flavor you choose). Protein is essential to maintaining a healthy body weight, and these shakes provide more protein than many of the other plant-based shakes available today. 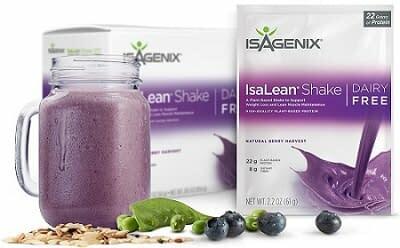 Can I add the IsaLean Shake Dairy Free to an Isagenix weight loss program? 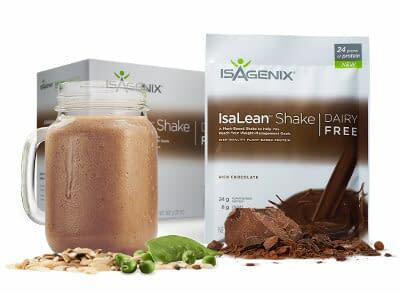 Yes, the IsaLean Shakes can easily be integrated into any Isagenix cleansing or nutritional system and are available as an option when you order online. How do the dairy free shakes compare to the whey based IsaLean Shake? The dairy free shakes provide a complete amino-acid profile, 250 calories, 22 grams of protein, 22 grams of carbohydrates and 8 grams of fat, which is similar to the regular Isalean shake. 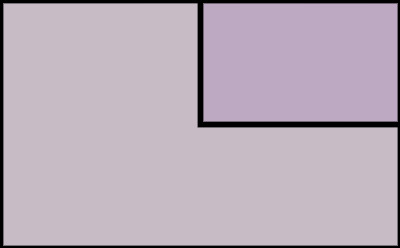 The dairy free option includes a whole-food based fruit and vegetable blend but doesn’t include the additional vitamins included in the whey-based shakes. Replace one or two meals daily with a meal replacement shake. IsaLean Shake Dairy Free is available in three delicious flavors. The Vanilla Chai and Rich Chocolate shakes are made from the pea and whole-grain brown rice protein profile, while the Natural Berry Harvest uses pea and hemp protein. These low-glycemic, high fiber shakes are available in 14-count packages that contain no artificial colors, sweeteners or flavors. Dairy Free IsaLean Bars: A delicious dairy-free version of the popular IsaLean bars. 9 Day Cleansing System: Great for people looking for quick results and a kick-start to cleansing. IsaDelight: A tasty treat designed to help curb cravings and keep your weight loss efforts on track! Order your Dairy Free IsaLean Shake in one of the delicious flavors and give your body the nutrition it needs while you’re on the go!